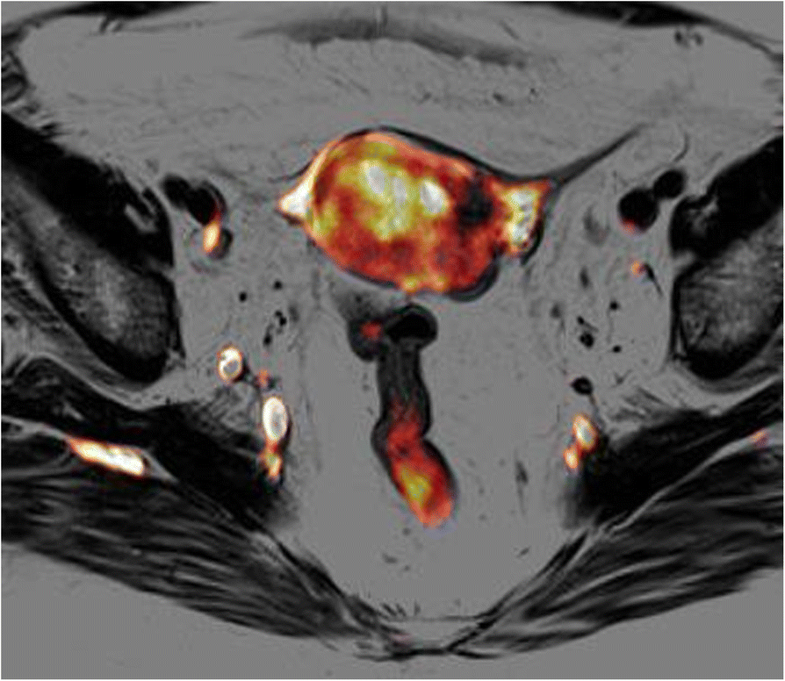 At the time of publication of these guidelines, Diffusion-Weighted Imaging (DWI) was indicated as a promising tool in assessing gynecologic cancers, providing information on tumour cellularity and microenvironment. 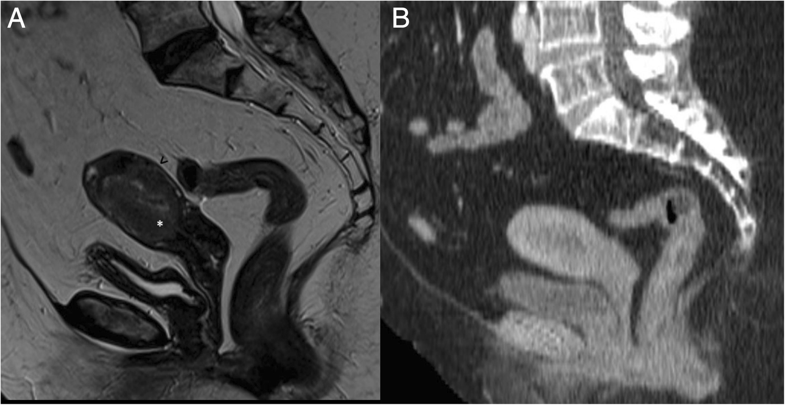 After some years of experience, DWI is currently widely used as an adjunct to T2w and dynamic imaging in routine clinical practice . 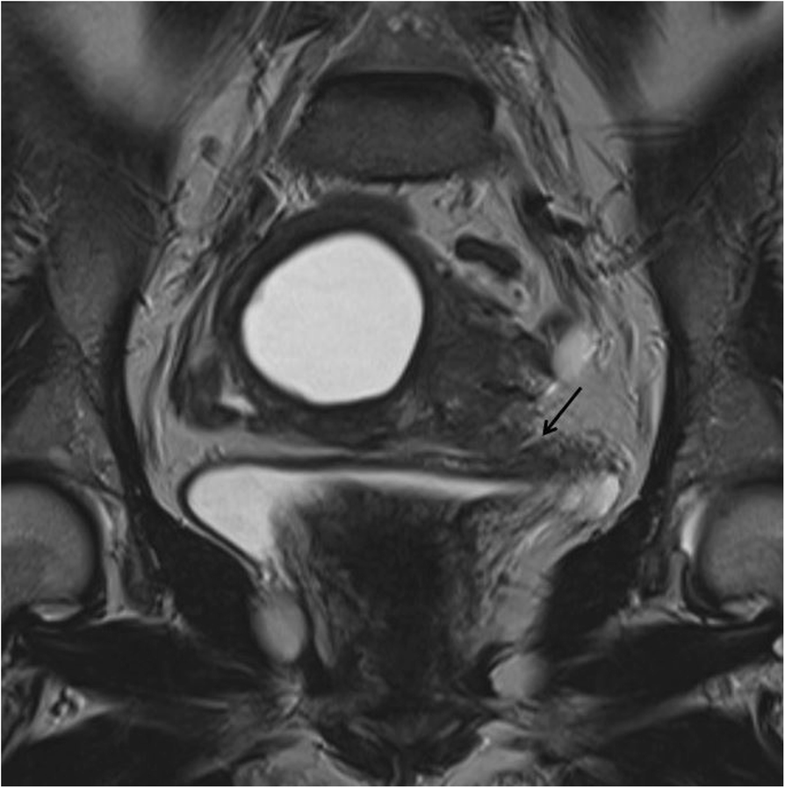 Indeed, it is now well known that DWI is a helpful tool in detecting EC when endometrial biopsy is technically impossible, due to cervical stenosis, as well as when histopathologic results are inconclusive, because ADC values are significantly lower in cancer than normal endometrium or benign polyps [19, 20]. A recent systematic review and meta-analysis evaluating pre-operative staging of myometrial invasion in EC patients has shown that in different studies published between 2008 and 2013, DWI sequences were performed with different high b-values ranging between 500 and 1000, where the highest b-value (b = 1000) was mainly on 3 Tesla machines [21, 22, 23], whereas on 1.5 Tesla machines the highest b-value used was more frequently b = 800 [24, 25], with few exceptions . PET/CT is more sensitive than CT or MR imaging for detection of nodal metastases [38, 39]. Furthermore, in patients for whom biopsy demonstrates high-risk histology, PET/CT may be used to identify unsuspected distant disease that would obviate the morbidity of a staging operation. Two meta-analyses have indeed shown that PET/CT is highly sensitive and specific for distant nodal metastasis [40, 41, 42], although a significant percentage of lymph nodes still go undetected by PET/CT. In a direct comparison of MR imaging and PET/CT for initial staging, PET/CT was found superior for detection of metastatic lymph nodes (sensitivity 70% for PET/CT vs 34% for MR imaging) . 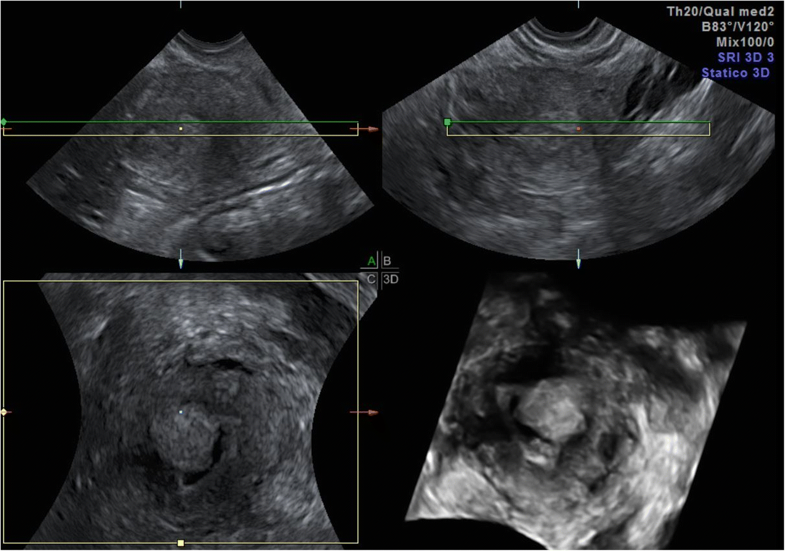 A 67-year-old woman with EC stage IIIA. 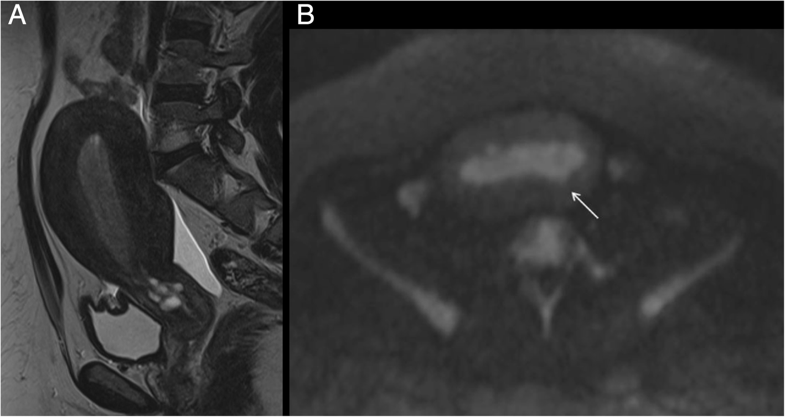 MR sagittal T2-w image depicting the endometrial lesion of the posterior uterine wall extending to the internal orifice without cervical involvement. 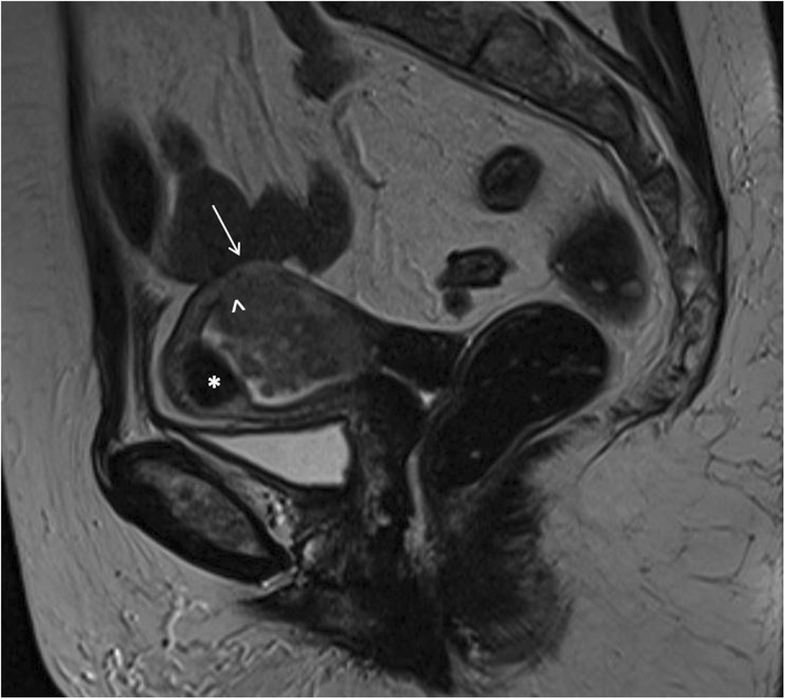 There is a disruption of the junctional zone (arrowhead) indicating myometrial invasion, and disruption of the hypointense line contouring the myometrium on the outer side of the uterus (arrow), indicating serosal invasion. Collaterally there is a submucosal leiomyoma (asterisk). 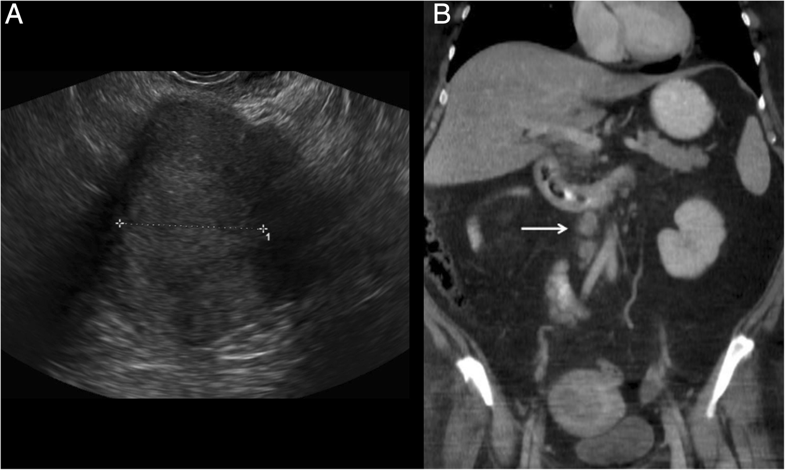 A 54-year-old EC patient with deep myometrial infiltration and serosal involvement. 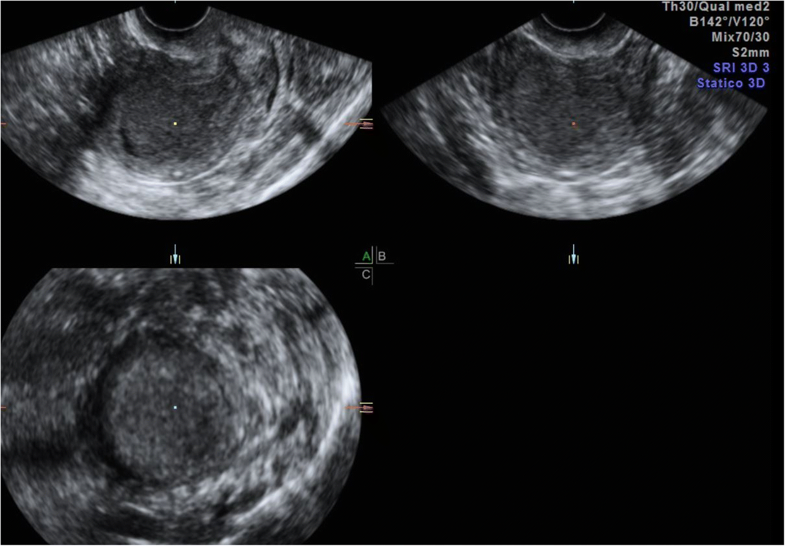 Coronal (a) and sagittal (b) MR images show a small mass in the right ovary (arrows) with solid components of the same signal intensity as the EC, representing ovarian involvement. NCCN Framework for Resource Stratification – Uterine Neoplasms – Endometrial Carcinoma Version 2.2017. Available at https://www.nccn.org/framework/. Accessed 30 Nov 2018.